Amazon and its UK-based subsidiary LoveFilm are to put to the public vote on their websites 14 pilot shows, including Alpha House and Zombieland. Viewers can submit feedback influencing which shows get made into full series. The 14 shows are made by independent production companies and produced by Amazon Studios, the film and series production arm of Amazon. “This is the first time Amazon Studios has done this,” said Simon Morris, LoveFilm’s chief marketing officer. Eight adult comedies and six children’s animation series will be put to the public vote. The shows will be aired on Amazon’s pay subscription services – Amazon Prime in the US, and LoveFilm in the UK. Simon Morris said shows would be available to everyone and not just subscribers. The adult pilot shows include Alpha House, about four senators who live together in a rented house in Washington DC and stars John Goodman, who was recently in Oscar-winning film Argo. “Bill Murray has got a cameo in Alpha House, looking a bit older, a little bit more bedraggled, but definitely Bill Murray,” Simon Morris added. Onion News Empire is set behind the scenes of the Onion News Network, a satirical daily news service, and “shows just how far journalists will go to stay at the top of their game”, according to Amazon Studios. It stars Arrested Development‘s Jeffrey Tambor as the “egomaniacal lead anchor”. Musical comedy Browsers stars Cheers and Frasier actress Bebe Neuwirth as the “terrifying” boss of a news website in Manhattan. 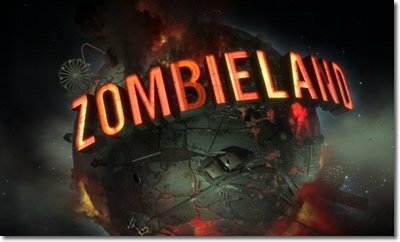 Other pilot shows include Zombieland – based on the film of the same name – featuring four survivors attempting to outwit zombies, while animated comedy Dark Minions, written by Big Bang Theory’s Kevin Sussman and John Ross Bowie, is about two “slackers” working on an intergalactic warship. The children’s shows include animations Sara Solves It, where Sara and Sam solve maths-based mysteries, and Creative Galaxy, an interactive art adventure series.